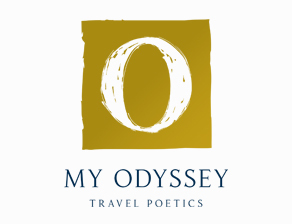 My Odyssey is a luxury travel company specialized in exclusive tailor made trips to Greece and South European countries. With own offices in Athens and Shanghai, My Odyssey is ready to plan and offer you the most spectacular trip, designed especially for you. We combine the best attractions, superior quality accommodation, luxury transportation and culinary tastes, all enclosed in a package of personalized services provided by a dynamic team which consists of Greek, Italian and Chinese travel professionals. Our guests are not just traveling to a place for some days; they have the chance to “live” there for as long as they visit our proposed destinations. And we are responsible for that to happen, by choosing and providing the best partners that will contribute into perceiving the strongest and most authentic sense of the places our travelers visit. What makes us unique is our specialization not only in our proposed destinations, but most importantly in our individual travelers’ habits and requirements. We have deep knowledge on what you are seeking for; hence we are able to cater high levels of comfort, care and quality. For us, in My Odyssey, quality is non-negotiable. But what quality means to someone is completely subjective; therefore we design each trip with the standards and desires of each person ab initio.